2009-07-01 Assigned to WITHIN3, INC. reassignment WITHIN3, INC. AGREEMENT DATED JUNE 24, 2004 Assignors: MARKUS (NEE MCGUIRE), HEATHER A., MARKUS, MICHAEL J., SMITH, BRIAN N., KIONGA-KAMAU, PETER M.
2011-09-07 Assigned to SQUARE 1 BANK reassignment SQUARE 1 BANK SECURITY AGREEMENT Assignors: WITHIN3, INC.
2013-10-09 Assigned to SQUARE 1 BANK reassignment SQUARE 1 BANK RELEASE BY SECURED PARTY (SEE DOCUMENT FOR DETAILS). Assignors: WITHIN3, INC.
2013-10-09 Assigned to 3DEGREES LLC reassignment 3DEGREES LLC ASSIGNMENT OF ASSIGNORS INTEREST (SEE DOCUMENT FOR DETAILS). Assignors: WITHIN3, INC.
2013-10-15 Assigned to SILICON VALLEY BANK reassignment SILICON VALLEY BANK SECURITY AGREEMENT Assignors: WITHIN3, INC. This invention is generally directed to one or more systems or methods relating to social network analysis. More specifically, this invention is generally directed to one or more systems or methods relating to personal communication networks and the analysis of personal-communication-network data. This application claims the benefit of priority from PCT application PCT/US2004/038064, filed on Nov. 15, 2004, now published as WO 2006/036165. PCT/US2004/038064 claims priority to PCT application PCT/US2004/030259, filed on Sep. 15, 2004, now published as WO2006/041425. These two prior applications are hereby incorporated into the present application by reference. This invention is generally directed to a system or method for searching a collection of databases in order to identify at least one database in the collection that has or is likely to have information on a topic. More specifically, this invention is directed to a system or method for performing a directed search on a collection of linked databases in order to identify at least one database in the collection that has or is likely to have data on a topic. Further, this invention is directed to a system or method for performing a directed search of a social network in order to identify at least one social-network member that has or is likely to have information on a topic. When seeking information, many people rely upon sources such as the internet, intranets, pamphlets, magazines, and advertisements to provide them with adequate information and ultimately to aid in their decision-making process. In their searches, however, to such sources often include barriers that prevent people from acquiring the valid, reliable and useful information they need. Notably, the anonymity of the internet prevents people from trusting the reliability of the information source. Clearly, most people would rather consult their friends and colleagues that they know and trust on a first name basis—or knowledgeable people that they know through their fiends and colleagues—when seeking the answer to a particular question. For example, it is well known that informal communication via personal communication networks allows decision makers to reduce the uncertainty regarding unfamiliar technologies and/or products by questioning and consulting trusted others. Posing questions to the members of one's personal communication network allows individuals to obtain first, second, and third-hand accounts from individuals they know directly or through intermediaries. Theoretically, the varied experiences of one's network of peers, acquaintances, and people connected to the person through countless others should more than adequately serve to answer one's questions. Unfortunately, experiential and other knowledge can be difficult to procure; because people are unaware of who in their interpersonal network has experience or information regarding the information they seek, informal searches for advice can seem arbitrary, unfocused, and inefficient. The absence of a formal map or knowledge of communication structure prevents the person from realizing the full potential of the collective IQ of his network of friends and colleagues. Social network analysis is known and has been described as the mapping and measuring of relationships and flows between people, groups, organizations, computers, or other information/knowledge processing entities. Social network analysis (SNA) can be used to generate data and draw conclusions based upon the flow of information (or other resources) within a social network. SNA maps the relationships of people within a social network in order to monitor, understand, and utilize the informational flow within the network—who do people get their information from and who do they give it to? A social network is distinct from an organizational chart because the organizational chart shows formal relationships—who works where and who reports to whom. On the other hand, a social-network-analysis map shows more informal relationships—who knows who and who do they share information with. SNA therefore facilitates visualizing and understanding personal relationships that can either facilitate or impede knowledge creation and sharing. While social network analysis is known, little has been done to streamline its use in an effort to maximize its potential. Further, implementations of social-network analysis have yet to be fully explored. Specifically, most individuals interested in social network data have merely conducted interviews or surveys to obtain the data, and they have then kept the conclusions drawn from such data exclusively in the world of academia. For example, sociologists who studied the diffusion of hybrid seeds through the social networks of farmers in Iowa published their findings in academic journals. They did not, however, disclose the conclusions that they reached based on the analysis of their data to the general public. SNA is gaining popularity in the field of marketing in order to facilitate the diffusion of innovations (e.g., new products) through customer networks. To this end, a number of companies have conducted preliminary data analyses using SNA in an attempt to map customer networks and determine who most customers contact for advice within a particular domain. In theory, if a company can identify and market to the small percentage of people that make up the opinion leadership or opinion leaders within a given customer network, they can lower both the cost of marketing and the time it takes for the innovation to diffuse through the customer network. Marketing departments are therefore anxious to identify “opinion leaders” within a given field. Such individuals are often highly connected “hubs” within a social network web, and they are important targets for marketing because other members in the customer network often go to them for advice regarding the latest trends and innovations. Clearly, the ability to selectively target opinion leaders, which may cut advertising and marketing costs while simultaneously increasing the effectiveness of marketing messages, would be highly beneficial. However, with current technology, collecting, mapping, and identifying what role each potential customer plays within a given network demands considerable time, effort, and money-making such an approach prohibitive to all but a few companies. While companies first demonstrated interest in the utility of SNA for targeted marketing in the 1950's, prior-art technology is slow and cumbersome. Most recently in the pharmaceutical domain, some pharmaceutical companies gathered relational information within the medical field by sending a two-page survey to approximately 800,000 physicians in the United States. The pharmaceutical companies paid each participating physician approximately $250 for their time, but the survey yielded only a 5% to 8% response rate—this equates to a one time $10,000,000 to $16,000,000 data-collection procedure. Further limitations on the accuracy or utility of such a strategy include the “static” nature of a one-time survey that fails to capture the dynamic nature of social networks. Additional prior-art methods for performing SNA exist. One prior art method attempts to draw an inference on who is well known and influential within the field of medicine based on general publications, conference presentations and disclosures. This prior-art method is clearly limited because of its highly inferential nature and its lack of a social-network map that clearly depicts the informal and formal communication links between physicians. In other words, the approach is lacking because the data does not directly and clearly correspond to advice, influence, or communication among physicians. Clearly, a new approach to the collection of reliable, valid, meaningful, and cost-effective social-network data is needed. In the domains of leisure and entertainment, parlor games such as “Six Degrees of Kevin Bacon” and websites such as “Friendster” and “LinkedIn” have demonstrated the ability of the internet to create social networks of friends and business associates for the purposes of making friends, finding dates, identifying potential job candidates, and seeking employment. A major drawback of such popular social-network sites, however, is the seemingly arbitrariness of the links between users. Allowing “friends” to link to one another in a situation that almost promotes competition to score high volumes of links creates a chaotic environment wherein the context, strength, or value of relationships between users cannot be ascertained. Arbitrary links undermine the utility of social networks that purport to connect people to trustworthy second and third-degree contacts premised upon mutual “friends.” Therefore, the data captured and utilized by these websites is highly unreliable. Because the websites have not set parameters, guidelines, or norms to govern or define the links between users, the social networks generated by these sites provide limited aid to users and are nearly useless to parties interested in using social-network data for their own purposes. Prior-art methods for inviting new people into social networks online or indicating first-degree contacts via a survey typically lack the sophistication to accurately capture the directionality of an established social-network link. 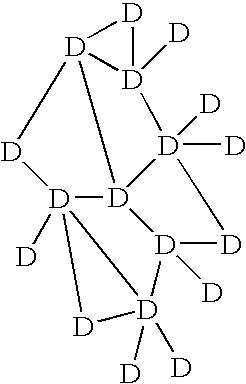 It is generally known that social-network links can be either unidirectional (e.g., from A to B) or bi-directional (e.g., from A to B and from B to A). Reliable, valid, and meaningful social-network data typically necessitates the directionality of the links within a social-network. Establishing and recording accurate directionality information about social-network links increases both the meaning and utility of a social-network map and social-network data generated therefrom. Prior-art methods for inviting (or listing) people into a social network often erroneously or prematurely infer bi-directional relationships—and misinterpretation of the directionality of a link leads to misleading information. p More specifically, prior-art methods directed to determining the directionality of social-network links do not provide a means to confirm the actual existence of a unidirectional or bi-directional link. For example, in the prior art, a first person will typically declare that a second person is linked to the first person, and as a result, the second person is incorporated into the first person's social network as a unidirectional or bi-directional link. Note that the prior-art methods don't provide for providing a means for confirming the existence or directionality of the link. In other words, the prior art doesn't provide for a method by which the second person can confirm or deny the relationship that the first person has alleged. Further, if a first person listed a second person as a member of the first person's social network, then the prior art doesn't provide a way to consult the second person as a means to confirm the relationship. The art therefore needs a more accurate method for determining the directionality of a social-network link. Relatedly, prior-art internet search engines are typically designed to match search criteria—general words, names, phrases, etc.—with a list of “best fit” websites, based upon keywords and the popularity of the websites. The recent application of social networks to such search engines has introduced the concept of including evaluation of websites by an individual's contacts in the ranked presentation of the “best fit” websites. There still, however, remains a need in the art for an electronic search engine that can both: identify individuals in a field of interest that have knowledge regarding the searched topic and how the searcher is connected through a set of intermediaries to the individual that possesses the knowledge, and allows the searcher to ascertain the degree to which the person and information can be trusted. Prior-art methods for performing broadcast searches of data are well known. And broadcast searching is widely used in many areas of technology today. Broadcast searching can generally be described as a search method that searches all available searchable data in an effort to locate the sought-after data. Broadcast searching can be slow and cumbersome, and there is therefore a need in the art for an additional search method for searching collections of databases and social networks. In general, the present invention provides a method for searching a collection of linked databases comprising the step: performing a directed search of a collection of linked databases. The present invention further provides a method for determining the shortest path between two databases in a collection of linked databases, the method comprising the step: performing a directed search of a collection of linked databases; and determining the shortest path between a first database and a second database that has been identified by the search. The present invention further provides a method for performing a directed search of a collection of linked databases, the method comprising the step: performing a directed search of a collection of linked databases, wherein the directed search uses historical data to identify a database that has or is likely to have information on a topic. The present invention further provides a method for searching a collection of linked database comprising the step: searching a collection of linked databases, wherein at least a portion of the searching is conducted using a directed search method, and wherein at least a portion of the searching is conducted using a broadcast search method. The present invention further provides a system for searching a collection of linked databases comprising: a means for performing a directed search of a collection of linked databases. The present invention further provides a system for determining the shortest path between two databases in a collection of linked databases, the method comprising: a means for performing a directed search of a collection of linked databases; and a means for determining the shortest path between a first database and a second database that has been identified by the search. The present invention further provides a system for performing a directed search of a collection of linked databases, the method comprising: a means for performing a directed search of a collection of linked databases, wherein the directed search uses historical data to identify a database that has or is likely to have information on a topic. The present invention further provides a system for searching a collection of linked database comprising: a means for searching a collection of linked databases, wherein at least a portion of the searching is conducted using a directed search method, and wherein at least a portion of the searching is conducted using a broadcast search method. A seed database is a database within a collection of linked databases, wherein the seed database acts as an originating database from which all other databases stem. Stated differently, a seed database is a database that is a central hub in the collection of databases, and all other databases within the collection are linked either directly or indirectly to the seed database. wherein each D represents a database. wherein n is an integer greater than or equal to 1. A social-network search anchor can generally be described as a first-degree contact in a searcher's social network that the searcher designates as being likely to possess information on a particular subject that is being searched. In one embodiment, a social-network search anchor is a first-degree contact in a searcher's social network that the searcher designates as being likely to have a social-network profile containing data related to at least a portion of the sought-after data. The search anchor acts as the database/node to which all other databases/nodes are compared when making the relative determination of which database/node is to be searched next when conducting a directed search. In an additional embodiment a social-network search anchor is a first-degree contact in a searcher's social network that the searchers designates as being most likely, relative to all of the searcher's first-degree contacts, to have a social-network profile containing data that will match at least a portion of the search topic or search string. A social-network profile can generally be described as information relating to a social-network member. In one embodiment, a social-network profile is made up of information that has been input by the social-network member. In another embodiment, the social-network profile is itself a searchable database. A personal-communication-network member is a person that is a node in a personal communication network. An opinion leader is a person that has an above-average ability to influence people in a field of interest. A field of interest is an area of specialization. Personal-communication-network data is any information related to or generated from a personal communication network. Nonlimiting examples of personal-communication-network data include: electronic invitations to current and/or new members of a personal-communication network, archives of personal-communication-network communications, persons that are personal-communication-network members, a communication generated from or directed to personal-communication-network member, a personal-communication-network member's FAQ's data, archived search terms generated by a personal-communication-network member, a personal-communication-network member's field of interest, keywords used by a personal-communication-network member, phrases used by a personal-communication-network member, personal-communication-network member names, a personal-communication-network member's specialty or field of interest, the context of a communication to or from a personal-communication-network member, a personal-communication-network member's geographic location, schools attended or general educational background information of a personal-communication-network member, a personal-communication-network member's graduation year, a personal-communication-network member's work location or place of business, a personal-communication-network member's profession, a personal-communication-network member's insurance information, a personal-communication-network member's clinical interests, a personal-communication-network member's research interests, a personal-communication-network member's patients or clients, or any combination thereof. A personal communication network is a type of social network that is directed to and based upon communication links between nodes. A communication link can generally be described as a link between a first node and a second node, wherein the communication link is established or based upon the communication subject matter between the two nodes. Note that the link is not based solely upon the fact that a first node knows a second node, but instead the link is directed to a common field of interest between the first and second node. Further, a personal communication network is directed to identifying to whom a personal-communication-network member talks to regarding a particular subject or field of interest. Because a personal communication network has communication links that have been created based upon who a node communicates with and seeks advice from or gives advice to regarding the common field of interest, personal communication networks are also commonly referred to as trust networks. A common field of interest is a field of interest that is shared by two or more people. A person has a personal-communication-network membership when a person is a node in a personal communication network. Keyword searching is a manner of searching that uses a string of characters in the search term or search phrase. A third-degree contact is a social-network member or personal-communication-network member that is three-degrees-of-separation away from a specific member or node. A second-degree contact is a social-network member or personal-communication-network member that is two-degrees-of-separation away from a specific member or node. A first-degree contact is a social-network member or personal-communication-network member that is one-degree-of-separation away from a specific member or node. 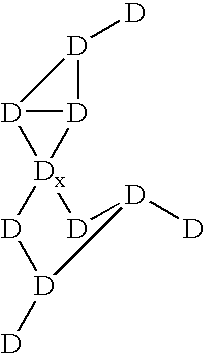 Degrees of separation is a term that describes the relative position of two nodes in a social network. A second node is one degree of separation away from a first node if the second node is directly linked to the first node; stated differently, a second node is one degree of separation away from a first node if there are no other network nodes intervening between the second node and the first node. Further, a second node is two degrees of separation away from a first node if there is exactly one network node intervening between the second node and the first node. Still further, a second node is three degrees of separation away from a first node if there are exactly two network nodes intervening between the second node and first node. Yet further, a second node is n degrees of separation away from a first node if there are n-1 intervening network nodes between the second node and the first node. A person's quantity of memberships in personal communication networks equals the number of times a person is identified as a node in one or more personal communication networks. A node is a person that is a member of a social network or personal communication network. The frequency of communication describes the number of communications between two people or two nodes over a period of time. Direction of communication is a term that describes who sent a communication and who received the communication. The direction of communication is from the sender of a communication to the recipient of the communication. Innovativeness is a relative term that describes the degree to which an individual is relatively earlier in adopting new ideas than other individuals that are members of a social system. Further, innovativeness is a characteristic that describes an individual's receptiveness in adopting a new innovation relative to other members of the population. Innovativeness depends upon many variables; and nonlimiting examples of those variables include risk-taking tendencies and knowledge of innovation. The levels of innovativeness (in decreasing order) are: innovators, early adopters, early majority, late majority, and laggards. Innovativeness can also describe an entity's receptiveness in adopting a new innovation relative to other entities. Nonlimiting examples of such entities include a consumer, hospital, corporation, insurance company, medical practice, and the like. A personal-communication-network invitation is an invitation that invites a person or invitee to become a member or node of a personal communication network. The directionality of a link (or direction of a link) is a term that describes a personal-communication-network link or social-network link. The directionality of a link is based upon identifying the person that both received and accepted a social-network invitation or personal-communication-network invitation from the sender of the social-network invitation or personal-communication-network invitation. The directionality or direction of a link is from the sender of the invitation to the recipient/acceptor of the invitation. Stated differently, the directionality or direction of a link is from the inviter to the invitee, and upon accepting an invitation from the invitor, the invitee becomes a member of the invitor's personal communication network or social network. A link is a path or connection from one node to another node. Unidirectional is a term that describes a link between a first node and a second node, wherein the first node has accepted a personal-communication-network invitation from the second node, but the second node hasn't accepted a personal-communication-network invitation from the first node. In such a case, a link has been established only based upon the first node's acceptance of an invitation from the second node. Bi-directional is a term that describes a link between a first node and a second node, wherein the first node has accepted a personal-communication-network invitation from the second node, and the second node has accepted a personal-communication-network invitation from the first node. In such a case, a link has been established based upon two invitations and acceptances of invitations: the first node's acceptance of an invitation from the second node, and the second node's acceptance of an invitation from the first node. A personal-communication-network link is a link in a personal-communication-network. Reciprocal invitation is a return invitation that is sent from an original recipient or invitee back to the original sender or inviter. An invitation-and-acceptance process is a series of events that enables a person to become a member of a social network or personal communication network. Mapping is a term that can be used to describe the manner in which a social network or personal communication network is visually illustrated. A real-time online network is an online network that manipulates (e.g. records, analyzes, and presents) data in real time. Local information is information possessed by a person or searcher. Linked databases are databases that are connected to each other in some manner—by electronic means or other means. FIG. 1 is an illustrated arrangement of a network for employing the system of the present invention. FIG. 2 is an illustrative display of an embodiment of the present invention. FIG. 3 is an illustrative display of an embodiment of the present invention. FIG. 4 is an illustrative display of an embodiment of the present invention. FIG. 5 is an illustrative display of an embodiment of the present invention. FIG. 6 is an illustrative display of an embodiment of the present invention. FIG. 7 is an example of arrangements on search results. FIG. 8 is an illustrative relationship between members of a personal-communication-network. This invention is generally directed to social-network analysis of a personal communication network or personal communication networks. An embodiment of the present invention provides a system for classifying at least one personal communication-network member as an opinion leader in a field of interest based at least in part on personal-communication-network data. An additional embodiment of this invention is directed to performing a directed search of collectively linked databases or nodes in order to identify at least one database or node having information on the search topic. The term user is used below to describe a personal-communication-network member or other authorized individual who is has been invited to join a personal communication network by a personal-communication-network member and use the system of the present invention to communicate with other personal-communication-network members. A personal-communication-network member is used to describe an individual who has previously joined a personal communication network and has saved a profile of himself/herself in a computer-accessible memory that can be accessed to electronically store information to be used with the system. An embodiment of the present invention provides a system for classifying at least one personal-communication-network member as an opinion leader in a field of interest based at least in part on personal-communication-network data. The system includes a computer-accessible memory for storing computer-readable logic that enables a central processing unit (“CPU”) to identify an opinion leader within a field of interest. The CPU can be provided at the server, the computer terminal the user enters data, or any other computational device. The identification of an individual as an opinion leader can be based upon data generated from the person's participation or interaction with the at least one personal communication network, such as the person's discussion of a particular topic with another member of that person's personal communication network, or merely a membership in the at least one personal communication network. As used herein, an opinion leader is a member of a personal-communication network that has established direct communication with many other members of the network. Direct communication requires the two parties to be related by a single degree of separation. Being separated by only a single degree of separation, the opinion leader will be a primary contact of many network members. The more members of the network that have the opinion leader as a primary contact, the higher his priority, rank, or reputation, as an opinion leader in that network will be. A predetermined number of primary contacts can be determined and set as the threshold number of contacts required to be considered an opinion leader, or, opinion leaders can be selected based on the number of network members they communicate directly relative to other network members. According to other embodiments of the present invention, an opinion leader or a plurality of opinion leaders can be selected based on the percent of network members that have received one or more communications from the opinion leader(s). According to yet another embodiment, an opinion leader can be selected as such based on the overall number of contacts established, regardless of the particular network in which those contacts are established, quantity and direction of invitations linking the opinion leader to other network members, initiation and outcomes of searches conducted by opinion leaders and other members of the network. An additional embodiment provides for identifying an opinion leader using personal-communication-network data that is based upon or related to an invitation-and-acceptance process. More specifically, the personal-communication-network data that is based upon or relates to an invitation-and-acceptance process can be data relating to electronic invitations to current or new members of a personal communication network. A further embodiment provides for identifying an opinion leader using personal-communication-network data that is based upon or related to search terms or phrases employed by a personal-communication-network member in conducting a search of personal-communication-network data. Defined as above, an opinion leader is considered to be a network member whose opinions reach a large audience relative to the opinions of other members of that network. Typically, the opinion leader's comments have grown to be well respected in a particular field over time due at least in part to the knowledge, experience, or familiarity with the subject matter on which the opinion leader comments. This respect, in turn, motivates physicians or others seeking to gain knowledge about this subject matter to invite the opinion leader to join their personal network as a primary contact, separated by only one degree of separation. As the number of network members that list the opinion leader as a primary contact increases, so does the opinion leader's prospective audience and therefore, his ability to influence the knowledge of those audience members. The system for classifying at least one personal-communication-network member as an opinion leader can optionally identify, or otherwise classify at least one personal-communication-network member as an opinion leader in a field of interest based upon the quantity of memberships that the at least one personal-communication-network member has in personal communication networks, wherein all of the networks have the field of interest in common. Thus, one or more opinion leaders can be identified specifically for the particular field of interest. Computer-readable logic can optionally be provided according to an embodiment of the present invention to identify or classify a person as an opinion leader within a field of interest based upon the quantity of electronic communications that the person has sent to personal-communication-network members in the field of interest. Likewise, the one or more opinion leaders can be identified and classified according to instructions within computer-readable logic that classifies a person as an opinion leader within a field of interest based upon the quantity of electronic communications that the person has received from personal-communication-network members in the field of interest. Alternate embodiments consider a combined number of sent and received electronic communications to identify an opinion leader. Other factors, such as the direction and quantity of invitations or connections between nodes, frequency of communication between nodes, the number of words in a communication between nodes, the direction of communication between nodes, the number of key words in a communication between nodes, the search terms and results generated by the nodes, and combinations thereof, for example, can also be used in addition to, or in lieu of, any other factor mentioned above. An alternate embodiment of the present invention provides a system for assessing a person's likelihood to use a concept or product that is new to the person. The system includes computer-readable logic for classifying a person's innovativeness based upon the quantity of personal-communication-network invitations the person has received from a personal-communication-network member. A network member considered to be an innovator, as that term is used herein, is a network member who is more likely to adopt, or otherwise adapt his practice to include a novel technology, treatment, therapeutic agent, ideology, or other advance (collectively referred to as a “recent development”) than other network members who are not innovators. Similar to the description above for identifying an opinion leader, an innovator can be selected as the network member who is likely to be the first to adopt a recent development, or as the top y network members who are likely to be the first y people to adopt the recent development. Alternately, the innovator(s) of a particular network can be identified as the z % of network members who are likely to adopt a recent development within a predetermined timeframe. These are but a few examples of the many possible ways to identify the innovator(s) of a network, and should not be considered an exhaustive listing of all possibilities. Any factor that tends to indicate a network member's likelihood to adopt or otherwise utilize a given recent development can be used to identify the innovator(s) of that network. Nonlimiting examples of such factors include: the time between a similar recent development's introduction to the market and a time when the network member adopted the similar recent development; the network member's participation in experimental studies; the length of time required for the person to respond to a personal-communication-network invitation; the duration a prescriptions written by network members; the number of invitations sent to a potential user/member; publications by the network member discussing efforts to develop the recent development; anticipation of the recent development; opinions expressed by opinion leader(s); or opinions by other network members respected by the network member. Any of the factors chosen to identify the innovator(s) of a network can be suitably weighted to fine tune the algorithm used to quantify the degree of innovativeness used to identify innovators. As mentioned above, innovators can be classified based upon the number of invitations sent to a potential user/member, wherein the invitations are directed to the invitee joining a social network or more preferably, a personal communication network. Some individuals may require only one invitation to convince them to join—these are the innovators. Others may require up to ten or fifteen invitations from current users before deciding to join—these are the laggards. Innovativeness classifications can be used in marketing campaigns in which innovators can be targeted first, then early adopters, early majority, late majority, and laggards (innovators being the most innovative and laggards being the least innovative). In one embodiment for classifying a person's innovativeness, an innovativeness classification is needed by using computer-readable logic that employs a function that is based upon personal-communication-network data in combination with a statistical diffusion curve and innovativeness classifications (as defined by diffusion researchers). In one embodiment, the statistical diffusion curve is an s-shaped curve that plots the percentage of a population that has adopted an innovation over time. In theory (and as verified by data), once the percent of population adopting an innovation hits roughly 20%, the rate of adopting rapidly increases, and then tapers off as the percent of population adopting the innovation hits about 80%. It is common for opinion leaders to also be considered innovators because of the personality traits common amongst authoritative figures in a particular field and innovators in that same field. Accordingly, whether a network member is considered to be an opinion leader can optionally be a factor used to determine whether that network member is also an innovator. In addition to the above, at least one embodiment of this invention provides for searching personal-communication-network data that is in the form of electronic or electronically searchable communications between personal-communication-network members. An embodiment that employs the search method provides computer-readable logic for determining or identifying the use of one or more words or phrases in a communication or communications between two personal-communication-network members. Computer-readable logic can be used to search for a string of characters within one or more databases of recorded electronic or electronically searchable communication(s) from one personal-communication-network member to another. The computer-readable logic searches the personal-communication-network communications and quantifies or qualifies the use of at least one string of characters, e.g., word or phrase, within the communications. An additional embodiment of this invention provides for using computer-readable logic to search personal-communication-network data that is in the form of electronic or electronically searchable communications between personal-communication-network members or nodes. A use of such an embodiment can be directed to identifying a topic of discussion or common field of interest between two or more personal-communication-network members. This embodiment provides for using computer-readable logic to search one or more databases of recorded electronic or electronically searchable communication(s) between personal-communication-network communications for words or phrases associated with a search term or search phrase. The computer-readable logic identifies the words or phrases relating to a field of interest and can thereby identify a topic of discussion or field of interest in a particular communication or communications. In an embodiment of the invention, personal-communication-network data in any known form of communication can be subject to SNA via computer-readable logic. In a further embodiment, personal-communication-network data in any known form of electronic or electronically-searchable communication can be subject to SNA via computer-readable logic. Nonlimiting examples of useful forms of known electronic or electronically-searchable communications include: electronic mail (email), chat, online chat, and discussion boards. Further, regarding the above-mentioned communication between nodes, another embodiment uses computer-readable logic to identify and define communication contexts among personal-communication-network users. Stated differently, the embodiment identifies one or more topics of discussion within a communication between two nodes. The communication contexts will most likely be dependent upon the audience and network boundary. In an example relating to the medical domain, nonlimiting examples of communication contexts or general topics of discussion include: medicine, pediatrics, aerospace medicine, diagnosis and treatment, pharmacology, asthma, allergy and immunology, anesthesiology, colon and rectal surgery, dermatology, emergency medicine, family practice, general preventive medicine, internal medicine, critical care medicine, medical genetics, neurology, physical medicine and rehabilitation, preventive medicine, psychiatry, molecular genetic pathology, neurological surgery, diagnostic radiology, neuroradiology, nuclear medicine, obstetrics, gynecology, occupational medicine, ophthalmology, orthopaedic surgery, otolaryngology, pathology-anatomic and clinical pediatrics, plastic surgery, preventive medicine, public health, radiation oncology, radiology-diagnostic surgery, thoracic surgery, urology, abdominal radiology, addiction psychiatry, adolescent medicine, adult reconstructive orthopaedics, blood banking/transfusion medicine, cardiothoracic radiology, cardiovascular disease, chemical pathology, child neurology, clinical cardiac electrophysiology, clinical neurophysiology, clinical and laboratory immunology, craniofacial surgery, critical care medicine, cytopathology, dermatopathology, developmental-behavioral pediatrics, endovascular surgical neuroradiology, foot and ankle orthopaedics, forensic pathology, forensic psychiatry, gastroenterology, geriatric medicine, geriatric psychiatry, hand surgery, hematology, oncology, infectious disease, interventional cardiology, medical microbiology, medical toxicology, musculoskeletal oncology, musculoskeletal radiology, neonatal-perinatal medicine, nephrology, neurodevelopmental disabilities, neuropathology, neuroradiology, neurotology, nuclear radiology, oncology, orthopaedic sports medicine, orthopaedic surgery of the spine, orthopaedic trauma, pain medicine, pediatric anesthesiology, pediatric cardiology, pediatric critical care medicine, pediatric emergency medicine, pediatric emergency medicine, pediatric endocrinology, pediatric gastroenterology, pediatric hematology/oncology, pediatric infectious diseases, pediatric nephrology, pediatric orthopaedics, pediatric otolaryngology, pediatric pathology, pediatric pulmonology, pediatric radiology, pediatric rehabilitation medicine, pediatric rheumatology, pediatric sports medicine, pediatric surgery, pediatric urology, procedural dermatology, pulmonary disease, rheumatology, selective pathology, spinal cord injury, sports medicine, surgical critical care, undersea and hyperbaric medicine, vascular neurology, vascular surgery, vascular and interventional radiology, or a combination thereof. In another embodiment for using computer-readable logic to identify and define communication contexts or general topics of discussion among personal-communication-network users, employable communication contexts can include any or all fields of interest. For example, if the network involves consumers, and a user or member wants to know what social network or personal-communication-network members are “opinion leaders” on the topic of cars (i.e. who do most consumers consult before buying a car), then one communication context should be for example “automotives.” Additional nonlimiting examples of general communication contexts, topics of discussion, or fields of interest include: medicine, sports, science, performing arts, mathematics, literature, pharmaceuticals, biotechnology, health sciences, nursing, automotive, social work, dentistry, occupational therapy, physical therapy, rehabilitation counseling, gerontology, health administration, optometry, veterinary medicine, natural sciences, biology, chemistry, physics, forensic science, political science, history, anatomy, biostatistics, physiology, social sciences, philosophy, psychology, sociology, anthropology, education, research, mental health, psychotherapy, health, fitness/exercise, nutrition/diet, athletics/sports, games, hobbies, therapy, engineering, statistics, literature, politics, local government, state government, federal government, advocacy, law, law enforcement, private investigation, military science, journalism, mass communications, consulting, project management, contracting, architecture, religion, spirituality, culture, fine arts, performing arts, art history, dance and choreography, fashion design, interior design, painting, photography, filmmaking, sculpture, theatre, music, martial arts, crafts, entertainment, food, technology, information systems, electronics, business, marketing, management, accounting, economics, finance, entrepreneurship, automotive, real estate, home ownership, insurance, home furnishings, manufacturing, shipping, retail, beauty, fashion, environmental science, nature, animals, pets, botany, agriculture, security, aviation, travel or a combination thereof. Still another embodiment provides for evaluating a relationship between two personal-communication-network members wherein computer-readable logic searches one or more databases of personal-communication-network data, including communications between the personal-communication-network members and performs one or all of the following: quantify the number of communications between the members, determine the frequency of electronic communication between the members (frequency can be described in terms of the dimension-number of communications per unit time), recording the number of words in an electronic communication between the members, recording the direction of communication between the members, recording the use of keywords in an electronic communication between the members, or a combination thereof. The present invention further includes a “social search engine” that allows social-network or personal-communication-network members to search within their networks for other personal communication members or nodes that have access to information that they are seeking. The search component of the embodiment includes computer-readable logic that performs the function of a filtering mechanism, whereby a network member performing a search can use the social search engine's computer-readable logic to search her social network or personal communication network for members that have or are likely to have information of the searched subject. In a further embodiment, all of the search-string information input by a member conducting a search is stored in a searchable database and thereby adds to the personal-communication-network data generated by the member. This may be helpful because it may be beneficial to know what search terms or phrases are most often used by that or other network members. In one embodiment for searching personal-communication-network data, the search can be directed to a field of interest or characteristics of personal-communication-network members. The search can be as general as “automotives,” or as specific as “females between the ages of 12 and 14.” A nonlimiting list of other potentially searchable topics include: behaviors, needs, desires, trends, and norms. This invention also provides for using computer-readable logic that searches personal-communication-network data for multiple terms or phrases by initiating the search with a single search term. In other words, an embodiment is directed to using a single term or phrase to initiate a multi-term search of personal-communication-network data. Computer-readable logic initiates a multi-term search of the personal-communication-network data by first identifying one or more terms or phrases that will be searched in addition to the single search term or phrase that was entered by a user. The computer-readable logic does this by associating the single search term or phrase with a predetermined set of additional search terms or search phrases that have been preselected to be search in addition to the single search term or phrase. The computer-readable logic then applies both the single search term or phrase and the predetermined set of additional search terms or search phrases in a search of one or more databases of personal-communication-network data. Additionally, if a search term or search phrase used in a personal-communication-network data search does not literally match any terms or phrases in the personal-communication-network data, the present invention has provided computer-readable logic for matching specific conditions, treatments, pharmaceutical drugs, and medical specialties to selected search terms and phrases. Therefore, computer-readable logic will search for at least one predetermined search term or phase that has been associated with the initial search term or phrase. And although there may be no literal match to the initial search term, meaningful search results can still be generated based upon the social search engine's computer-readable logic searching for additional related terms or phrases. An embodiment of the invention also provides for a method directed to establishing a social-network or personal-communication-network link between two people. The invitation-and-acceptance method is directed to sending a social-network or personal-communication-network invitation from a personal-communication-network member, i.e. an inviter, to an invitee. An embodiment of the invitation is directed to making the invitee a member of the inviter's social network or personal communication network. The invitation is not limited to any particular form, but in an embodiment, the invitation is an electronic invitation such as an email. The invitation embodiment has the inviter describe a common field (or fields) of interest between the inviter and invitee. Stated differently, the inviter indicates at least one subject or field of interest that the inviter would like to communicate about with the invitee. In a further embodiment of the invitation-and-acceptance method, the invitee is provided with an opportunity to send a reciprocal invitation to the original inviter, wherein the original inviter is invited into the invitee's social network or personal communication network. Another embodiment of the invitation-and-acceptance method also provides for defining the directionality of a link between nodes in a personal-communication-network based upon an indication of whether an original inviter wants to be a member of an original invitee's personal communication network. A social-network or personal-communication-network invitation method generally involves sending a social network or personal-communication-network invitation from one person to another person, i.e., from and inviter to an invitee. And generally, if the invitee accepts the invitation, then the invitee becomes a member of the inviter's social or personal communication network, and thus a unidirectional link is established—from the inviter to the invitee. An embodiment of this invention provides for automatically providing the person that is sending a social network or personal-communication-network invitation with an option to accept a reciprocal invitation from the invitee, should the invitee choose to send a reciprocal invitation. In other words, an original inviter is provided with a means to accept in advance a reciprocal invitation from the invitee, if the invitee should decide to send a reciprocal invitation. To promote meaningful links between people having a common field of interest, an embodiment of the invention provides for a system that helps personal-communication-network members construct meaningful trust networks by providing explicit instructions for an invitation-and-acceptance process used to construct a personal communication network. The system uses computer-readable logic to provide a user with conditions for inviting a person into the user's personal communication network. As a nonlimiting example of instructions relating to a personal communication network directed to the medical field, the instructions might read, “Who to invite: Invite colleagues whose opinions you value and often solicit when making medical decisions or considering alternative treatments. This network should include physicians you trust to provide reliable information or advice regarding medical treatments, practices, and advances for the professional services you provide. If you highly value the opinions, judgments, advice, or interpretations of a physician, you should invite them into your trust network. What you can learn: Information is only as good as the source that delivers it. Building this network can help you manage your current contacts—the physicians you trust and know directly—as well as help you identify the trusted sources of your trusted colleagues. Expand your opinion network to obtain volumes of valued opinions and reliable information from your colleagues, colleagues' colleagues, or colleagues' colleagues' colleagues.” The system has computer-readable logic that will enable the invitation-and-acceptance instructions to be provided to an inviter that is sending an invitation These instructions help to ensure that data obtained through personal-communication-network links are meaningful. As a result, a user can be certain that physicians in his personal-communication-network trust each other for valued opinions and advice. In an embodiment of the invitation-and-acceptance method, a personal-communication-network member (original inviter) sends an invitation, which can be an electronic invitation, to an individual (original invitee). The individual may or may not be a member of a personal communication network, and the invitation invites the invitee into the inviter's personal communication network. In composing an invitation contemplated by this invention, the original inviter must indicate in advance whether, should the inviter receive a reciprocal invitation into the invitee's trust network, the member would accept or decline such an invitation. The system has computer-readable logic for determining whether an invitee is a current member of a personal communication network; if yes, then in one embodiment an invitation is sent to the invitee's system email address. A system email address is an email address provided by the system to a personal-communication-network member. If the invitee is not a personal-communication-network member, then the invitation is sent to an email address external to the system. Once the invitee reads the email, she must decide whether to accept or decline the invitation. Should she choose to accept, she must indicate whether she wishes to send a reciprocal invitation to the original inviter. If she chooses to send a reciprocal invitation to the original inviter, the system has computer-readable logic that checks for the original inviter's advance indication for either accepting or declining a reciprocal invitation. In an embodiment of the invention, if an original inviter has indicated in advance that they would accept a reciprocal invitation from an original invitee, and the original invitee has both accepted the original invitation and sent a reciprocal invitation, then the computer-readable logic establishes a bi-directional link. If an original inviter has indicated in advance that they would accept a reciprocal invitation from an original invitee, but the original invitee has only accepted the original invitation and chosen not to send a reciprocal invitation, then the computer-readable logic establishes a unidirectional link from the original inviter to the original invite. If an original inviter has indicated that they would not accept a reciprocal invitation from an original invitee, and the original invitee accepts the original invitation, then the computer-readable logic establishes a unidirectional link from the original inviter to the original invitee. The invitation-and-acceptance process affords several opportunities for collecting and storing directional information and confirmation, and such information has implications for searches performed by the members via the site. As a nonlimiting example, if a receiving physician (e.g. Dr. Smith) accepts and invitation from an inviter physician (e.g. Dr. Jones), then the system stores this link as one from Dr. Jones to Dr. Smith. Furthermore, Dr. Smith becomes a member of Dr. Jones' trust network, and Dr. Jones obtains access to Dr. Smith's personal-communication-network data and to the members of Dr. Smith's personal communication network. Likewise, if the receiving physician (Dr. Smith) reciprocates the invitation and the sending physician (Dr. Jones) accepts, then the system stores a second link from Dr. Smith to Dr. Jones, indicating that Dr. Jones is a part of Dr. Smith's trust network as well. Further, Dr. Jones becomes a member of Dr. Smith's trust network, and Dr. Smith obtains access to Dr. Jones' personal-communication-network data and to the members of Dr. Jones' personal communication network. In the event that a physician declines an invitation, a link is not established, and—although the system stores all invitations and decisions—trust networks usually reflect the convention that a receiving physician that accepts an invitation becomes a part of a sending physician's trust network. The consultation topics checked may also be used as a measurement of trust. For example, if Dr. Gardner indicates that she consults Dr. Harris regarding two topics, but she consults Dr. Johnson regarding five, then it can be inferred that Dr. Gardner trusts Dr. Johnson more than Dr. Harris. More importantly, encouraging physicians to indicate the context of their communication with each physician provides a rich and useful database. A further embodiment of the invention is directed to the manner in which social search-engine search results are presented. In other words, the further embodiment is directed to presenting: 1) personal-communication-network members identified by the personal-communication-network data search; and 2) how the members are linked to the personal-communication-network member performing the search. In an embodiment, the search results are presented in a manner wherein at least one personal-communication-network member is named in a search result, and at least one network path is presented that displays a link or series of links that show how the personal-communication-network member performing the search is linked to the at least one personal-communication-network member identified by the search. The network path can be a visual depiction of a path from one member to another member; links between nodes are conventionally illustrated by strait lines, and nodes are conventionally illustrated by dots or circles. Still another embodiment of the invention is directed to the manner in which social-search-engine search results are presented. More specifically, the embodiment presents: 1) personal-communication-network communications identified by the personal-communication-network data search; and 2) how the personal-communication-network members that generated the communications are linked to the personal-communication-network member performing the search. In other words, the presentation of the social-search engine results displays the both the communications and their source in a visual manner. As mentioned above, the visual manner of presentation is a depiction of a path from one member to another member; links between nodes are conventionally illustrated by strait lines, and nodes are conventionally illustrated by dots or circles. The present invention will allow personal-communication-network members to analyze personal-communication-network data to obtain search results such as: degrees (the number of direct connections or first-degree contacts a personal-communication-network member has), betweenness (represents a bridge between two cliques or clusters in a person communication network), closeness (a measurement of how close a person is to everyone else in the network), boundary spanners (have access to ideas and information flowing in other clusters—innovators), peripheral players (often connected to networks that are not currently mapped), structural equivalence (determine which people play similar roles in the network), cluster analysis (find cliques and other densely connected clusters), structural holes (find areas of no connection between people that could be used for advantage or opportunity), and E/I Ratio (find which groups in the network are open or closed to other). Personal-communication-network members may also find other statistics useful that are particular to their field of interest. As a nonlimiting example, the present invention provides analyses of the percentage of a physician's personal-communication-network using a particular treatment and “distance to X,” which allows the physician to determine the shortest path to a target member in the physician's personal communication network. An embodiment of the invention searches personal-communication-network data using computer-readable logic that employs mathematical algorithms to determine the order of presentation of search results. Such algorithms take into account keywords entered into each personal-communication-network member's profile, field(s) of interest, the likelihood that the target member is the best person to answer the question (based upon personal-communication-network data specific to the target member), degrees of separation from the member conducting the search (degrees or links away), similarity to the searching member (based upon attributes listed in the profiles), physical proximity, and other personal-communication-network data (such as personal-communication-network communications). Moreover, the search results present the path between personal-communication-network members, e.g., from the personal-communication-network member entering the search terms to the personal-communication-network members identified by the search, which includes all members in the shortest number of links. Therefore, the member performing the search learns who has the information they seek, the personal-communication-network profile of a member or members revealed by the search, and how the members revealed by the search are connected to the member conducting the search. In an embodiment, social engine search results are presented in an innovative, clear, and tabular manner. The social search engine presents results by clearly denoting who in a member's personal-communication-network has the information being sought and how the searcher is connected to the members revealed by the search. In an embodiment, the columns represent degrees or links between the searching member and the network members revealed by the search. In yet another embodiment, the rows illustrate the relational paths from the searching member to the member(s) revealed by the search. In a further embodiment, highlighted names indicate a personal-communication-network member having the information sought. In another embodiment, the searching member's personal-communication-network profile is shown on the left panel of the results table, and the profile of a personal-communication-network member revealed by the search can be viewed in the right panel by clicking his or her name. Should the attributes of the personal-communication-network members be of interest, then a personal profile page may be added to the system. In this case, members can input various information about themselves (e.g. fields of interest). A further embodiment of the invention provides a personal-communication-network member with the ability to organize personal-communication-network communications by providing and electronic means for archiving personal-communication-network communications into a personal-communication-network database. The database in turn is searchable by personal-communication-network members, wherein the member performing the archiving designates a searchable term to be associated with the personal-communication-network archive or communication. Upon associating the search term with the personal-communication-network archive or communication, a keyword search of personal-communication-network data that uses the searchable term will return a search result that identifies the personal-communication-network archive or communication. A further embodiment of the invention provides for computer-readable logic that organizes personal-communication-network invitations to email address provided by the invention. In an embodiment, computer-readable logic identifies whether an invitee of a personal-communication-network invitation is a personal-communication-network member. And if the invitee is a personal-communication-network member, then the computer-readable logic directs an invitation to a personal-communication-network electronic mailbox (e-mailbox) provided by the invention. Stated differently, if an invitee is a personal-communication-network member and receives an invitation from another personal-communication-network member, then that invitation is automatically directed or redirected by the computer-readable logic to an e-mailbox provided by the inventive embodiment. In an embodiment, the invention does not overwrite personal-communication-network data so as to monitor/record changes in the personal-communication-network data over time. Changes to the network data are preferably stored as new entries in a database, so all entries and revisions are saved in the database, and this database is accessible for personal-communication-network data analyses and the like. Methods of storing electronic data via computers, software, databases, servers, and the like are known and relatively common. In an embodiment of this invention, relational databases that are connected to multiple servers or server farms can be employed to store personal-communication-network data. In an embodiment, the present invention allows for the collection of real-time data. Because an embodiment of the invention provides a system having a server database that stores all information as new—and does not overwrite outdated data—changes in personal communication networks will be stored and traceable so that the dynamic and flexible personal-communication-network data can be analyzed for changes over time. As an example, such changes may include additional links as physicians invite new physicians, forge new friendships, link to physicians they meet via a website, at conferences, or new contacts when they move. Moreover, the database will reflect the deletion or removal of ties when physicians indicate that a relationship or link no longer exists (for reasons such as moves, death, a “falling-out,” etc.). In an embodiment, personal information (or network-profile information) can be verified before a person becomes a personal-communication-network member. For example, if the target members of a personal communication network are an exclusive group (i.e. physicians, attorneys, college students, etc. ), then the invention may require a verification process, wherein a person's information is verified before the person can become a personal-communication-network member. This will not only put the users at ease, but will also ensure the integrity of the collected data. For example, if the social network of attorneys is desired, it is important to ensure that only the network of attorneys is captured, and not the relationships between attorneys, their clients, and their secretaries, etc. Another embodiment of the invention provides a server with computer-readable logic for mapping personal-communication-network paths or links with specificity. In an embodiment, the invention maps two or more personal-communication-network paths or links. In another embodiment, the invention maps three or more personal-communication-network paths or links. In another embodiment, the invention maps four or more personal-communication-network paths or links. In yet another embodiment, the invention maps five or more personal-communication-network paths or links. In still another embodiment, the invention maps a plurality of personal-communication-network paths or links. Pragmatically, personal-communication-network members may want to know all paths that lead from them to a target member for various reasons. Perhaps they have recently spoken to the member who serves as the link in one path, or they prefer to utilize a particular member as a link over another for prestige, or one member is on vacation and therefore cannot serve as a liaison. Whatever the reason behind the desire to see multiple paths, the present invention recognizes and satisfies this desire. Sometimes one direct route is all that is needed, but it may be preferable to have options. In addition to being invited into a personal communication network, a user can elect to register as the start (or seed) of a new personal communication network that will initially only include that user. In an embodiment, before a user is permitted to register as a new personal-communication-network member, a verification process can optionally be conducted to ensure that the user attempting to register is actually interested or involved in a field of interest. For example, a physician may be verified to be board-certified and duly authorized to practice medicine. According to this physician example, to initiate a new personal communication network, and therefore become a physician within a personal communication network, the user can enter an appropriate URL into an address line of a web-browser displayed by a remote computer terminal in a known manner. Upon accessing the system for the first time, computer-readable logic causes a new-user-registration option to be displayed to the user. To minimize the number of unauthorized users that can use the system for unscrupulous purposes, users must register by creating a profile of themselves before they are able to login in and conduct a search or take advantage of other features of the system. The information entered by the user can be used to confirm the user's status as a licensed physician or other authorized user of the system. Returning users that have already completed their profile can skip the new-user registration step by electing to log in instead. Use of the system following a log-in procedure or after receiving an invitation to join is described in detail below. In use, an embodiment of the system of the present invention can be accessed by a user by entering an appropriate URL into an address line of a web-browser displayed by a remote computer terminal in a known manner. Upon being invited to join a personal communication network by a personal-communication-network member, a user receives an email with a hyperlink to permit the user to access the system for the first time. Executing the hyperlink causes the display of a new-user-registration interface generated by computer-readable logic. To minimize the number of unauthorized users that can use the system for unscrupulous purposes, even invited users must register by creating a profile of themselves before they are able to login and conduct a search or take advantage of other features of the system. Returning users that have already completed their profile can skip the new-user registration step by electing to log in instead. After the invited user has created a profile and logged in, computer-readable instructions cause a home page to be displayed so the user can select from a plurality of options presented as tabs located along an upper portion of the home page. Examples of the options available to logged-in users as shown in FIG. 3 include Home, Search, Message Center, Invitations, Settings, and Help. FIG. 3 is merely an example of the system options that can be provided, but the system of the present invention must offer at least the Search option. Once a user has generated his/her profile, the user can extend invitations to other registered personal-communication-network members to join the user's personal communication network, and use the Search option to locate personal-communication-network members already in the user's personal communication network and commence communications with those personal-communication-network members that satisfy the user-defined search criteria. Extending an invitation to join the user's personal communication network can be accomplished by selecting the Invitations tab, which causes an Invitation screen generated by computer-readable logic to be displayed by the monitor as shown in FIG. 3. An invitation to join a personal communication network by selecting the Invitations tab can be sent by entering an email address, contact name, or other information identifying the person or user to be invited into an invitation field. Selecting an Invite button causes the system to convey an invitation via email or other electronic communication to join the user's personal communication network to the invitee who is identified in the invitation field. For the embodiment shown in FIG. 3, the email address is entered in the invitation field and the Invite button selected. As an example, to illustrate the present invention, the fictitious name and email address of Dr. Steve Johnson at Fake Hospital is used. The detailed display of FIG. 4 generated according to the instructions in the computer-readable logic allows the user to specify the context in which the user will consult with the other physician to be invited into the user's personal communication network. For example, the detailed-invitation screen shown in FIG. 4 allows the user to select one or more of the following consultation contexts: Diagnostic, Treatment, Pharmacological, Research, Education, and Practice Management. Any number of these contexts can he eliminated, replaced with other contexts not specifically recited herein, or supplemented by other contexts without departing from the scope of the present invention. To assist the user in selecting a proper context for consultation, the user can view a description of each context by selecting such an option with an electronic pointing device such as a conventional mouse or trackball. In FIG. 4, the (description) option positioned adjacent to the context for which additional information is sought can be selected to view the additional information. When the user is specifying the context in which he/she will consult with the person or user to be invited, the user can also select whether a reciprocal invitation will automatically be accepted, should the invited person or user elect to send one. A selection whether to accept any reciprocal invitation can be made by choosing the check box, or by any other suitable indicia of the user's desire to automatically accept any reciprocal invitation to join the personal-communication network of the invited person or user. And just as before, the user can specify the areas in which the user feels comfortable rendering advice or generally communicating. Sending an invitation to an invitee to join a user's personal communication network, and the entire network in general, is an attempt to include that invitee in the personal communication network of the user in the one or more contexts specified by the user. The invitee will be the recipient of an email, or other electronically-originated communication informing the invitee of the existence of the invitation. Other embodiments of the present invention include computer-readable logic that generates a visual notice, audible notice, or a combined visual and audible notice to alert the invitee to the existence of the invitation when the invitee logs onto the system. As shown in FIG. 3, an invitation table of received invitations is generated according to instructions contained in computer-readable logic of the present invention to list recent invitations, a subject, date of invitation, and status of the invitation. Status symbols such as Accepted, Rejected, Accepted and Reciprocated, Pending, and others can be used to indicate the status of an invitation. Other fields can be included in the invitation table, such as the user-selected context, and the like. Further, computer-readable logic can also be included in the present invention to generate a sent-invitation table to tabulate recent invitations extended by the users and the status of those invitations. Upon receiving notice of the invitation's existence via email, for example, computer-readable logic included as part of the system presents the invitee with a hyperlink to a response page, where the invitee is presented with a plurality of optional responses as shown in FIG. 5. In the embodiment shown in FIG. 5, the invitee can accept and send a reciprocal invitation, accept without sending a reciprocal invitation, and decline the invitation to join the user's personal communication network. If the invitee accepts the invitation, a direct communication link is established between the user and the invite, meaning that the invitee has joined the user's personal communication network, and that the invitee is now a first-degree contact or is separated from the user by only one degree of separation. The user's first-degree contacts are stored electronically in a computer accessible memory provided to a server, for example. Additionally, the invitee has become a member of the user's personal communication network and is thereby linked to all of the nodes in the user's personal communication network. It will be appreciated that the nodes in the user's personal communication network will be two or more degrees of separation away from the invitee once the invitee has accepted an invitation from the user. As a member of the user's personal communication network, the invitee can search or establish communications with other members of the user's personal communication network via the invitee's link through the user. The fact that the invitee has accepted the invitation to become a first-degree contact of the user does not necessarily mean that the user has become a first-degree contact of the invite. Whether the user becomes a first-degree contact of the invitee is a consequence of the direction of the communication link. For example, in the scenario where the invitee accepts the user's original invitation and declines to offer a reciprocal invitation to the user, the communication link is said to be unidirectional from the user to the invitee. In this case, the invitee is a first-degree contact of the user, but the user is not a first-degree contact of the invitee If the user sent an invitation to the invitee, the invitee accepted the invitation and extended a reciprocal invitation to the user, the user can accept the reciprocal invitation in much the same way as the invitee has to become a first-degree contact of the user. The user's acceptance can be automatic if the user selected the automatic acceptance option shown in FIG. 4, or the user can manually accept such a reciprocal invitation. In this scenario, the communication link between the user and the invitee is a bidirectional communication link, meaning that the user and the invitee are first-degree contacts of each other and consult with each other in the specified contexts. Finally, the invitee can decline the invitation from the user, thereby not becoming a first-degree contact of the user. If this occurs, computer-readable logic will generate and send a response indicating the invitee's desire to decline the invitation. The invitee's response can optionally include a personal statement issued by the invitee indicating his/her reasons for declining the invitation. The process of inviting and receiving invitations from others to bring persons or users into the systems entire inventory of personal communication networks (the entire inventory being described as a global network) and establish first-degree contacts is a continuous process. As a nonlimiting example, invitations to join a personal-communication network will typically be extended to registered physicians as those extending the invitations encounter medical-related issues with which the invited physicians have experience. Once a physician has accepted an invitation to join a personal communication network, the physician can search for members of that personal communication network to engage with respect to a particular matter, as well as for members of other personal communication networks that are linked by a chain of communication. A chain of communication is a communication path that has an uninterrupted path from one node to another in a user-specified context. As shown in FIG. 3, example (I) is a chain of communication between Node A and Node C that includes Node B therebetween. This means that Node A can establish communication with Node C using Node B as an introduction, or by merely explaining to Node C that Node A is a contact of Node B. And Node A can form a preliminary opinion about Node C based on what Node A already knows about Node B. If Node B is a very astute individual that exercises great discretion in establishing first degree contacts, Node A can assume that Node C is a reasonably-reliable contact. Further, example (II) is a four-node chain of communication that includes Nodes A, B, C and D. Node A can establish communication with Node D through Nodes B and C. This does not require Node A to communicate first with Node B, followed by Node B communicating with Node C, and finally Node C communicating with Node D. Instead, Node A can communicate directly with any node, including Node D, in an attempt to establish a dialogue with Node D. As mentioned above, Node A can get an idea of the character of Node C by examining the nodes that stand between Node A and Node D.
Referring again to example (II), Nodes B, C and D are all considered to be in the personal communication network of Node A. Generally, each of Nodes A, B, C and D are considered to be in each other's personal communication network. In fact, any node that a user can establish communications with via an uninterrupted chain of communication is considered to be in the personal communication network of the base node. Note that for a node to be considered within the personal communication network of the user, communications can be established with any number of degrees separating the node from the user. However, the user can elect to display only those possible contacts that are within a predetermined degree of separation from the user. Other criteria can also be used to limit the number of nodes that are displayed in response to a search using the system of the present invention. In one embodiment, each time a first-degree contact is added to the user's contact list, this increases the user's status as an opinion leader. The system includes computer-readable logic that identifies one or more opinion leaders based on at least the number of first-degree contacts each user has. Additionally, the computer-readable language can identify one or more opinion leaders within a specific subset of the entire network. For instance, the system of the present invention can identify one or more opinion leaders in the field of pharmacology, or one or more opinion leaders in the field of medical education, or one or more opinion leaders in a geographic area, and so on. The system can optionally generate a listing of the one or more opinion leaders and cause the listing of opinion leaders to be displayed by the computer terminal with which the user accessed the system of the present invention. Computer-readable logic can include instructions controlling the identification and display of the opinion leaders. The system of the present invention can optionally include computer-readable logic for identifying one or more innovators. Any number of factors such as those recited above can be considered and assigned a value to be evaluated by an algorithm included in the computer-readable logic. FIG. 6 is an illustrative arrangement of a Search Screen generated by a CPU under the instruction of computer-readable logic of the present invention. The user can input one or more key words relating to symptoms, medications, therapeutic agents, ailments, diseases, viral infections, physicians, hospitals, insurance providers, and any other term into a key-word field, and optionally narrow the scope of the search to a particular subcategory of the entire network. For example, the scope of the search can be narrowed by specifying an insurance provider, the number of degrees of separation between the user and another registered physician that could possess knowledge of interest to the user, registered physicians within a predetermined geographic distance from the location of a user or other person, a specific context, and any other specification that will narrow the scope of the search for the key words input by the user. Selecting the Go button instructs the system to initiate the search based on the user-specified key words entered into the key-word field. Computer-readable logic instructs the search to retrieve all possible results that satisfy the key words. These results are then filtered to remove any results that do not comply with the specifications, or otherwise fall within the desired subcategory selected by the user. FIG. 7 is an illustrative Search-Results screen generated according to instructions included in computer-readable logic of the present invention and displayed by the computer terminal. The search results include the names of physicians in the user's personal communication network that satisfy the search criteria input into the Search Screen. The results in FIG. 7 are tabulated with the first-degree, or other most-closely-related contacts that satisfy the query listed at the top of the table. The physicians that satisfy the query can possess knowledge or experience with respect to a certain ailment, practice within a predetermined geographic distance from a user-specified location, or otherwise be relevant with respect to the key words and other criteria used to perform the search. As shown in FIG. 7, first-degree contacts listed in the first column directly next to the user's profile are physicians who have been personally invited by the user to join the user's personal communication network. The second-degree, or other second most-closely-related contacts are listed in the second column, but starting in rows directly beneath rows that list the most-closely-related contacts. For example, in FIG. 7, the first-degree contacts returned by the search are listed in the first column, and in the first two rows. In rows 3 and 4, the second-degree contacts are listed in the second column, each of said second-degree contacts being separated from the user's profile by a first-degree contact. The first-degree contact that separates each second-degree contact from the user in FIG. 7 is a node in the chain of communication that extends from the user to the second-degree contact. Obviously, the user trusts the first degree contact, otherwise the user would not have extended an invitation to the first-degree contact to join the user's personal communication network. The user can make a preliminary determination about the trustworthiness of the second-degree contact by considering the first-degree contact (Node B) between the user (Node A) and the second-degree contact (Node C). For example, if the first-degree contact is a physician in a teaching hospital who is primarily concerned with academic research of a particular disease, the second-degree contact known by the first-degree contact is likely to have a similar background. In another example, the first-degree contact may have become less reputable in light of recent accusations of falsifying experimental data. If the second-degree contact was at one time a research partner with the first-degree contact, the user can exercise caution in consulting with the second-degree contact. Regardless of the relationship with the first-degree contact, the user can often obtain an initial impression on the second-degree contact based on his familiarity with the first-degree contact. Referring once again to FIG. 7, the computer-readable logic of the present invention can also cause nth degree contacts to be displayed in an arrangement similar to that above for first and second-degree contacts. Third-degree contacts shown in FIG. 7 are listed in the third column from the user and start on row 5. Again, the user can gain a preliminary impression of the trustworthiness of the third-degree contact by considering the trustworthiness of the first and second-degree contacts between the third-degree contact and the user. Those personal-communication-network members who satisfy the search criteria, key words, etc. . . . entered with the Search Screen can be identified as those search results that are highlighted. Additionally, one or more of the search results can be selected with a cursor, border, or other visual indicia, and profile information of the selected search result can be shown in a profile window displayed by a display device operatively coupled to the computer terminal by computer-readable logic. The user, once making a preliminary determination about the trustworthiness of the selected search result, can communicate with the selected search result via contact information provided in the profile window. Additionally, contact options are presented in the profile window to provide the user with alternate methods of contacting the selected search result. Examples of contact options include Message, allowing the user to send a message to the selected contact with a messenger feature of the present invention; Chat, which allows the user and the selected contact to enter a chat room provided by the present invention; and other contact options. By way of example, authorized users are permitted to enter a statistical environment where they can obtain statistical information about physicians that are members of at least one personal communication network. Access to the statistical environment can be restricted by a login or other security feature that would allow authorized users into the statistical environment while minimizing the ability of unauthorized users to gain access to the statistical environment. Similar to the Search Screen, the statistical environment will permit the user to specify the statistics the user wishes to observe. For example, the user can select to observe at least one of the opinion leaders, the innovators, and any other class of physicians. Further, the opinion leaders, innovators, and other classes of physicians displayed according to the present invention can be limited to particular contexts, geographic regions, and other specifications similar to those recited above to limit the search results displayed on the Search-Results Screen. Although the system and method are described herein with reference to the medical field, it is understood that the system and method of the present invention can be employed in any field. Further, the search results can be arranged in any manner that permits observation of the chain of communication between the user and members of the user's personal communication network returned by the search. 1) degree of knowledge/awareness and trust of who knows what (i.e., local information) among direct contacts which is acquired through various interactions over time. It may be the case that other direct contacts possess relevant information, or know of someone who does, but it is more efficient if a searcher approaches a direct contact based on some relevant parameter which correlates with the information being sought. For example, it is more efficient to search through a direct contact's personal communication network if that contact is a lawyer and the question has to do with the law, than it is to search through a direct contact's network if that contact is a carpenter. That is, a lawyer is more likely to know other lawyers; whereas, a carpenter may know a lawyer(s), but it is more likely they know and have strong connections to other carpenters. Of course, if the search was relevant to building furniture, it would be more efficient to search through the carpenter's personal communication network. Using such “local” information is an effective strategy to conducting a targeted search. The present invention provides a method and system by which a searcher can manually select certain parameters to effectively search his or her personal communication network to identify the shortest path between the searcher and the person(s) who possess the relevant information wherein the main parameter is based on “local information” (i.e., personal knowledge of direct contacts). A directed search can be described as a search strategy that can be used to search a collection of linked databases. A directed search is distinct from a broadcast search because in most cases, less than all of the available searchable databases will be searched in the directed search, and the sequence of databases that are searched in a directed search will have a logical basis. In one embodiment, an anchor database or anchor node is selected by the searcher, and the anchor database or anchor node is commonly a first-degree contact. The anchor database is then searched (e.g., using computer-readable logic) for the sought-after search term(s). After the anchor database or anchor node has been searched, additional databases or nodes are selected to be searched based upon their similarity to the anchor database or anchor node. An anchor database is a database that is used in a directed search to aid in guiding or directing the search to meaningful databases throughout a collectively-linked database network. In one embodiment, an anchor database is the first database to be searched in a directed search. An anchor database also serves as the means for selecting additional databases to be searched throughout the course of a directed search. In one embodiment, an anchor database is used in a similarity correlation to make a relative determination of which directly-linked database is most like the anchor database. And a database that is directly linked to the anchor database and which is also most like the anchor database, relative to the other directly-linked databases, is then searched for the sought-after data. For illustration, the database that is directly linked to the anchor database and that has been identified by a similarity correlation as being most like the anchor database will be called the “second-searched database” (the first-searched database being the anchor database). The “second-searched database” is then searched for the sought-after data. The directed search can then proceed from the “second-searched database” to a “third-searched database.” The “third-searched database” is a database that is directly linked to the “second-searched database” (but it is not the anchor database) and identified by a similarity correlation as being most like the anchor database relative to other databases that are directly linked to the “second-searched database.” A directed search can proceed on in this manner through a “third-searched database,” a “fourth-searched database,” a “fifth-searched database,” and so forth through an “nth-searched database.” There is no limit on the number of databases that can be searched using a directed search method. In another search embodiment, a directed-search strategy is conducted through the “second-searched database,” “third-searched database,” and “fourth-searched database” and then from that database, the search strategy stops being a directed search strategy and becomes a broadcast search of all databases that are directly and then indirectly linked to the database at which the directed search strategy ended. This is an example of a combination of directed and broadcast search strategies, and this combination of search strategies is within the scope of the invention. In a social-network search embodiment, a directed search strategy can also be combined with historical search data. In such an embodiment, the historical data relates to determining who among a social-network node's first-degree contacts the node historically identified as an anchor in conducting a search on a particular topic. Stated differently, if a node conducting a search identified one of their first-degree contacts as an anchor regarding a search relating to “cars,” the historical data will reflect that that node made that first-degree contact anchor selection when the topic was “cars”. And a social-network search strategy may combine a directed search strategy with historical data in order to guide a search throughout a social network. In such a social-network search strategy, a directed search (as has been described above) of the social network may be performed and when the directed search reaches a node that has historical data relating to the subject search topic, the current search may be redirected based upon the historical anchor selection that the node previously made on the same or similar search topic. In other words, in a search embodiment, historical data may be used to override a directed-search similarity-correlation calculation in making a determination as to which database/node is to be searched next. In yet another embodiment, the historical data can be used to initiate a second search in addition to the existing directed search. As an example of such an embodiment, a directed search of a social network is conducted until it reaches a node with historical data relating to anchor-database/anchor-node selection on the current search topic Upon reaching that node, two separate searches may spring from that node. One of those searches may be a continuation of the initial directed search that proceeds to follow a search path dictated by a similarity correlation determination. The second search will be initiated/directed to a node based upon historical data and not based upon a similarity correlation calculation. So at any point during the course of a directed search, a second search may be initiated based upon historical data. In yet another embodiment, any combination of search strategies; i.e., a directed search strategy, a broadcast search strategy, and a historical-data search strategy; may be employed in performing a search of a collectively-linked databases or a social network. Computer-readable logic can be used to perform any of this invention's search methods. Other forms of relative comparison can also be employed. Linked databases are databases that are connected to each other in some manner. As a nonlimiting example of linked databases, wherein people are characterized as databases, a social network represents a group of people or databases that are linked to one another through the people that they know. In other words, social networks illustrate how people are linked to the people that they know directly (first-degree contacts) as well as to the people that they know indirectly through their friends. As another example of linked databases, electronic models of actual social networks will often assign attributes to each electronic social-network node, and those attributes may be directed to a node/person's profession, hobbies, geographic location, or other descriptive characteristic. The collection of attributes that are assigned to a particular social network node make up a single database of data that can be used to describe the subject social-network node. And each individual electronic social-network node has such a descriptive database assigned to it. So an electronic model of a social network will commonly have a plurality of descriptive databases that are linked to each other, through electronic means, in an arrangement that is representative of the actual social network. The databases are linked by an electronic means, and represent an embodiment of linked databases within the scope of the present invention. Other embodiments wherein databases are linked electronically or by some other means are also within the scope of this invention. In one embodiment, social networks and personal communication networks serve as nonlimiting examples of collections of linked databases having highly-branched architectures upon which the inventive search method or system can be applied. wherein “a” is an integer greater than or equal to 1.
wherein the value of each b is independently selected. wherein each b and c is independently selected. As mentioned above, one embodiment for performing a directed search involves searching for information within a plurality of databases that are collectively linked together in a highly-branched architecture. In one particular embodiment, a directed search is used to search a social network or personal communication network. Further, a directed search of such a collection of individual databases involves searching less than all of the individual databases in the collection. Instead, the search for the information is channeled or directed to the individual databases that are most likely to contain the sought-after data or information. And as a result, a directed search of such a collection of databases typically involves searching only a portion of the individual databases in the entire collection. All of the databases described above are within the scope of being searched using this invention's search methods. displaying search results to a searcher. if the search was not successful in retrieving relevant information, then initiating a broadcast search. displaying results of the broadcast search along with the search results. 4. The method of claim 1, wherein the search method uses either a similarity correlation, historical data, or a combination of both to identify databases related to the anchor database. 5. The method of claim 1, wherein the professional topic is medical or legal. searching the identified databases for information relevant to the search term. 7. The method of claim 6, wherein the selected parameter indicates a degree of knowledge or awareness by a member of the personal communication network about information relevant to the search topic. 8. The method of claim 6, wherein the selected parameter indicates a searcher's degree of trust regarding a member of the personal communication network. 9. The method of claim 8, wherein the selected parameter indicates a first degree contact of a party performing the search. 10. The method of claim 6, wherein the step of selecting a parameter to identify databases includes selecting an anchor database. identifying a shortest path between a searcher and a database that possesses relevant information to the search term. 12. The method of claim 6, wherein in the step of identifying, a similarity correlation is used to evaluate the similarity of a first database to a second database and thereby identify databases that are likely to have information relevant to the search term. 13. The method of claim 10, wherein the step of identifying databases based on the selected parameter includes using a similarity correlation to evaluate the similarity of a selected anchor database to a second database. 14. The method of claim 6, wherein the selected parameter includes historical search data. 15. The method of claim 12, wherein historical data is used in combination with the similarity correlation to identify databases that are likely to have information relevant to the search term. wherein the value of each “b” is independently selected. 18. The method of claim 14, wherein the historical data includes previously identified anchor databases from previously performed searches on a particular topic. 20. The method of claim 6, wherein in the step of displaying the search results, the results are displayed showing databases that are linked to an anchor database or to a person that initiated the search. 22. The method of claim 6, wherein the search is limited to databases identified as an anchor database and databases that are a selected number of links away from the anchor database. means for presenting search results to a searcher. 24. The system of claim 23, wherein the means for selecting a parameter to identify databases includes means for selecting an anchor database. 25. The system of claim 23, further comprising a means for using historical data in combination with the similarity correlation in performing the search. 26. The system of claim 23, further comprising means for determining the shortest path between a first database and a second database that has been identified by the search. 27. The system of claim 26, wherein the first database is a selected anchor database. 28. The system of claim 23, wherein the information relevant to the search term includes knowledge of a person who is likely to have information relevant to the search term. Kim et al. 2006 School bullying and youth violence: causes or consequences of psychopathologic behavior?